What is 4DX cinema and should you try it? 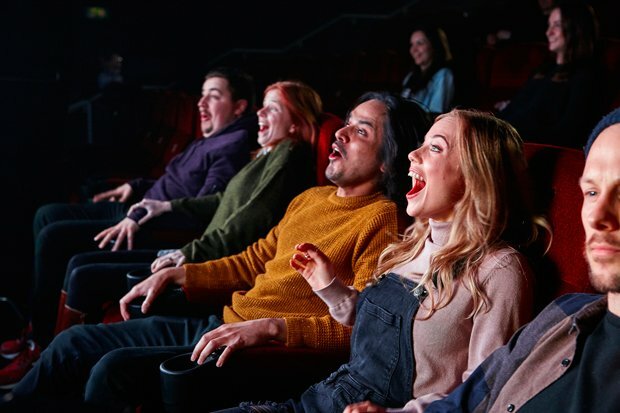 4DX technology gives cinema-goers a more immersive experience, with high-tech motion seats and special effects including wind, fog, lightening, bubbles, water and scents paired with the standard video and audio. It's not new technology, it was first introduced commercially in South Korea in 2009 and Cineworld launched the UK's first 4DX theatre in Milton Keynes in 2015. Now Edinburgh is the chain's 16th cinema to be fitted with the technology. Jumanji: Welcome to the Jungle, starring Dwayne 'The Rock' Johnson and Jack Black, was the first film to be screened at Cineworld Fountainpark, Edinburgh. With the characters trapped in a computer game version of Jumanji (no one plays board games anymore) the adventure romp lends itself well to the technology, with plenty of action in a jungle setting. 4DX technology works in synchronicity with what is happening on screen, so audiences lurched in their seats as the character's made a getaway in a helicopter through a canyon, got lightly sprayed with water as a hungry hippo leaped from the river and felt quick puffs of air on their necks as the adventures did battle with henchmen. The high-tech seats are the most impressive part. As well as being tossed about you can feel movement behind your back and your ankles, water from the back of the seat in front and air on your neck. It makes for a collective cinema experience with people gasping and groaning as they experience the effects. In this case the 'fog' wasn't very effective, it is released from the front of the cinema and didn't travel far, but you wouldn't want your view of the screen to be clouded. As cinemas continue to offer more than just a straight-up film, with 3D, IMAX and VIP options, 4DX is a new way to help you get more from your cinema experience, and further separate it the experience of streaming films on your sofa. You can test it out at upcoming films including Star Wars: The Last Jedi (out now), Jumanji: Welcome to the Jungle (out 20 Dec), Maze Runner: The Death Cure (out 26 Jan) and Black Panther (12 Feb). Just make sure you finish your popcorn before any on-screen chases ensue.